This is a Bob and Roberta Smith from Pierogi Gallery in Brooklyn, New York. Joe Amrhein of Pierogi gave me a great interview for the film as he talked through his collection of Bob’s early works and talked about Bob’s riotous Art Amnesty show at the Gallery. 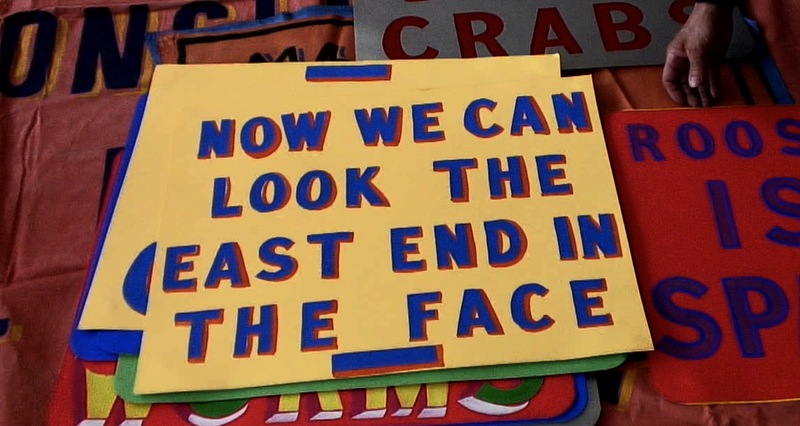 Click here for tickets to the premiere of Make Your Own Damn Art at the East End Film Festival and the Bob and Roberta Smith night featuring a performance by the Ken Ardley Playboys and a Q&A with John Rogers (Director) and Bob and Roberta Smith. 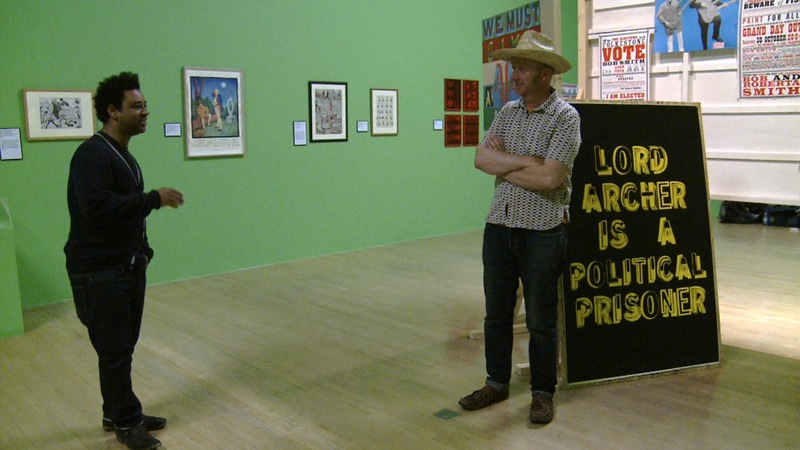 Editing this conversation between Bob and Roberta Smith and Cedar Lewisohn shot in the Rude Britannia show at Tate Britain. 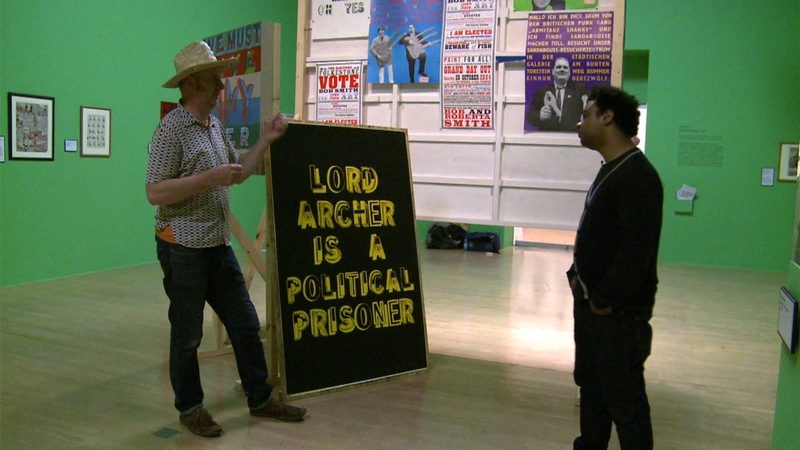 Cedar was one of the curators of the show, which looked at the idea of a British sense of humour in art. They are discussing how Bob’s work sits alongside Hogarth and Cruikshank and the notion of the exhibition as being like a punchline to a joke. If I include all the interesting stuff the film will be about 3 hours long. The dilemma of the edit.